Michael B. Kelly II, Mdiv. Michael is a graduate of Washington Adventist University where he received his bachelor’s degree in Theology with a minor in Psychology. He attended Andrews University where he obtained his master’s degree in Divinity. Upon graduation, Michael has been certified as a life coach and relationship coach. He also has his certification in Crucial Conversations: Tools for Talking When Stakes Are High and PREPARE/ENRICH, which is the leading relationship inventory and couple assessment tool. He is a widely sought after speaker, domestically as well as internationally, engaging audiences in dynamic concepts such as: “Date More. Marry Less”. and “Why Opposites Attract”. As a Pastor, Michael has 12 years of individual and couples counseling experience. 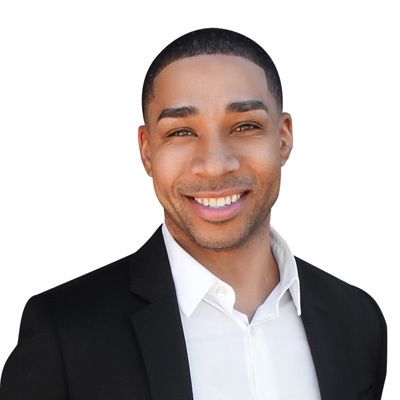 He is a leader in his community frequently conducting workshops, seminars, and trainings for businesses and cooperations which range from but not limited to leadership, relationships, and helping others find their purpose in life. He has been recognized by the city of Riverside as someone who has deep impact and positive influence at the heart of his community and in the lives of other individuals. Michael can be reached at (972) 380-1842.